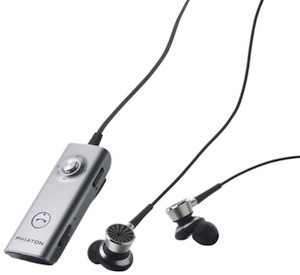 Many types of headphones can provide passive noise cancelling by blocking outside noise or covering it with good audio. For the times when that's not enough -- on an airplane, in a crowded office, around a noisy air conditioner -- active noise cancelling is better. Headphones with this technology require battery power to work and extra circuitry, so they're often on the expensive side compared to models with the same audio quality. For frequent travelers and people who need to immerse themselves in music (or silence), they are worth the investment. Keep in mind that even the best noise-reducing headphones dampen only around 75 percent of travel din. Designs that offer both passive and active cancellation. For more noise cancelling headphone picks and in-depth advice on what to look for, read our Noise-Cancelling Headphones Buying Guide. There are two versions of this high-end headphone, one that uses passive noise cancelling and this pair that adds active technology to the mix for better blocking. Active blocking is more effective and, at least with these headphones, won't mess with the audio quality. And the audio this slick pair delivers is quite impressive. Even when the battery dies, the passive noise cancelling is better than having none at all. All of this makes the Inspirations worth the high price tag. Controls: In-line one button, mic; compatible with any smartphone. In-line three button, mic; compatible with iPhone. Noise cancelling: Active. Passive isolation when battery dies. Wired: Detachable cord, comes with three cables: one button control, three button control, no control. Audio-Technica proves that you don't need to pay a lot of money to get decent-sounding headphones in this category. They might not be that useful on a plane since the active noise cancelling is more suited to medium background noise and not constant drone. This is great for people who want everyday headphones. Noise cancelling: Active, up to 20 dB. Passive isolation when battery dies. You get two types of headphone in one with this model from Phiaton: noise cancelling and Bluetooth. While the combo may seem odd, it's actually a great melding of technologies. The control module handles everything from activating the noise blocking capabilities to phone and Siri buttons to playback control. Audio quality doesn't suffer even when noise cancelling is active, but if you prefer to just plug the pair directly into a phone the design of the earbuds will block out a surprising amount of noise on their own. Controls: Noise cancelling on/off, playback controls including skip track and volume, answer/end call, compatible with Bluetooth 3.0 phones. Need more help deciding which pair of headphones is right for you? Check out our story on how to buy headphones. I think Sennheiser needs a better marketing/publicity agency because no one ever seems to mention them in these kinds of review sites for headphones. I was turned onto their noise canceling headphones a few years ago by one of the audiophiles working at an electronics store. I have gone through three sets of Sennheiser PXC 250 II Collapsible Noise-Canceling Headphones (I keep leaving them on airplanes, and at $150 a pop that’s an expensive mistake for me), and I keep going right back to the same brand/model. I haven’t tried their other models…perhaps I should, but I really like this one cuz it folds up very small and tucks into a briefcase. I don’t like giant “cans” on my ears and I don’t want to lug around something large when I’m traveling for business. The noise cancelling powers of the Sennheisers are pretty incredible, in my opinion. I was stuck on a plane behind a very unhappy baby who screamed at the top of her lungs for two solid hours. I was able to sleep soundly thanks to these little headphones combined with soothing music! I think the newer versions of this model feel a little chintzier than the original pair I bought 6 years ago, and the cords tangle and there’s this weird dongle thing that holds the battery. But still - I’m sold. I just lost yet another pair so maybe I’ll try a different model of Sennheiser now, if I can get the same small folding profile. I should add: I don’t like in-ear headphones, so that changes my options for consideration. They always seem to either hurt my ears or fall out. 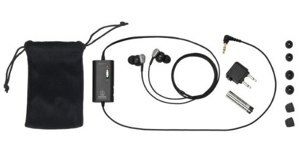 Dana, the picks for these guides are based on several factors, including our experience and testing, aggregated reviews, and how recently the headphones came to market, to name a few. Sennheiser is a great company (in fact, I included a pair in out Best Over-Ear and On-Ear Headphones guide) and we always reach out to them and other headphone makers when doing guides like this. Bose QC 20 is the best noise cancelling earbuds, but it’s very very expensive, Audio Technica ATH-ANC23 as you recommended is just decent. 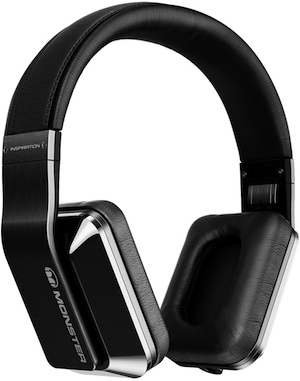 I think the best wireless noise cancelling headphones is Momentum Wireless 2 on the market right now. It have good design and sound quality with various features: NFC, Fold – up, Mic, track navigation. It works very well and low price. I think you should try to use it.